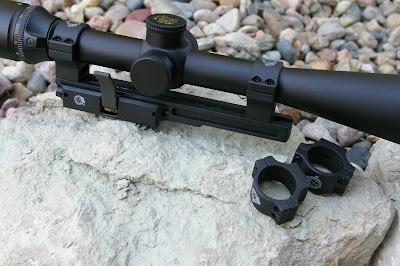 At this point my PRI Gator Grip Quick Release scope mount has appeared in numerous articles on this site as well as being used continuously offline for accuracy testing on everything from AR15s, to AR-308s, to custom 10/22 builds. In fact, I liked the high-ring version so much I ordered a low ring version as well. 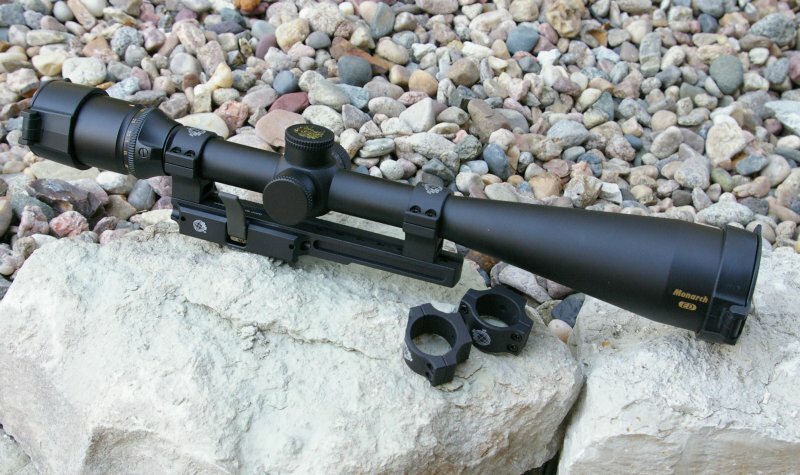 In addition to just your basic scope swapping between rifles for this or that rifle, it is beyond handy to be able to zero a rifle, remove the scope, use the rifle as an iron sighted sporting rifle and then clip a high power optic back on, such as my Nikon Monarch Gold 8-32X scope, for those long range shots. The PRI Gator Grip mount does all this while still retaining zero. I have written about PRI - Precision Reflex Industries products before on their AR assembly tools, their GEN III Carbon Fiber Forend, and soon on a 308 build featuring their Carbon Fiber Delta forend; they have become a go to source for many of my builds because of high quality, ergonomics, and innovation. PRI was one of the first to offer cantilever scope mounts, and the first to offer a lightweight carbon fiber forend handguard which can and do take all the abuse of a harsh tactical environments. 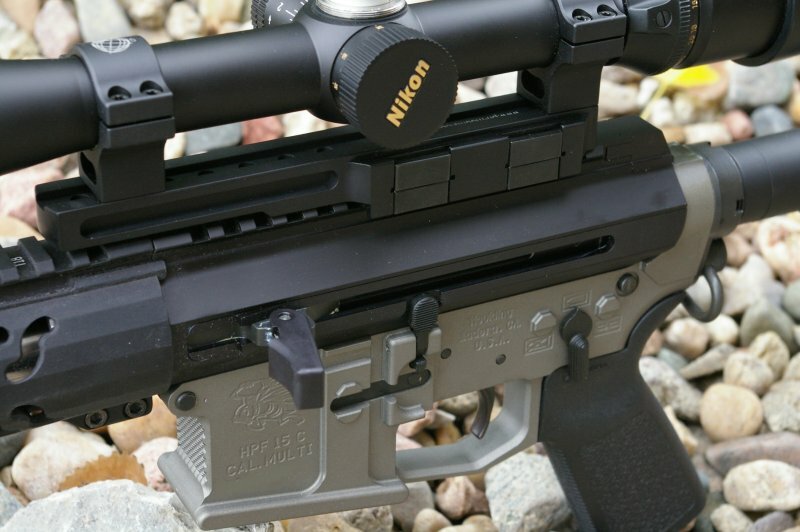 PRI also tweaks their versions of standard product concepts which make them more useful such as the AR tools, billet upper Vise Block, and this QR scope mount. Like all PRI products the Gator Grip Optic Platform is of superb quality and of extreme durability. As you can see, the finish matches the exceptional finish of the billet American Spirit Arms side-charge bull barreled 16” upper. All the edges on the Gator Grip are perfectly machined, beveled and then radiused. Considering the milling intricacy of this scope mount and quick release base, that is some impressive machine work. The base is built to be beat on in military situations and is just over 1/2lb in weight due to the steel clamping feet and spring mechanism. It is a hefty scope mount that will take a huge amount of abuse. There are a number of innovative features on the PRI Gator Grip Quick Release scope mount platform. The most obvious feature is the ability to remove and attach the scope mount with just one spring loaded lever. Unlike most quick detach mounts, the Gator Grip does not use a friction clamp, but instead uses dual heavy duty spring powered feet to grip the picatinny rail. At first I was a little unsure about the security and force of the mounting feet... would it loosen or fall off? The answer is no, because the springs are extremely heavy and exceed normal scope ring mount force requirements. In essence the quick release spring powered mounting feet, actually mount the base with more force than you would with typical bolt-on rings. When it comes time to remove the base, a surprising amount of force is required to flip the lever down into the unlocked position where it locks open. Place the Gator Grip scope mount platform back on your top rail and flip the lever and the feet will slam closed on the rail... erhh, correction - flip the lever in a controlled manner. I found that controlled release of the lever and mounting to the same T-marking assures a return to zero. There is some serious pressure on those spring powered clamping feet. The PRI Gator Grip scope mount platform is available with high or low rings in either 1” or 30mm versions. The rings are sold as part of the platform or separately and key into the base and then attach via machine screws from the bottom. 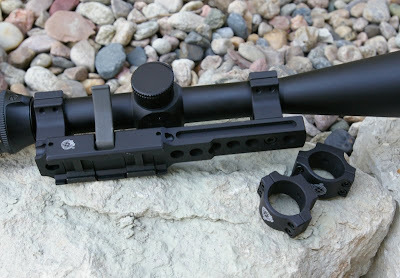 The base has numerous holes along the rail to accommodate any scope ring position for various scope sizes and eye reliefs. One of the cool side benefits of this setup is that you can mount and zero one optic and then unbolt just the rings and scope from the base, so you can use the same quick detach platform for multiple rifles and optics. The 7” long base platform and rings are constructed of T6 6061 hard coated black anodized aluminum. 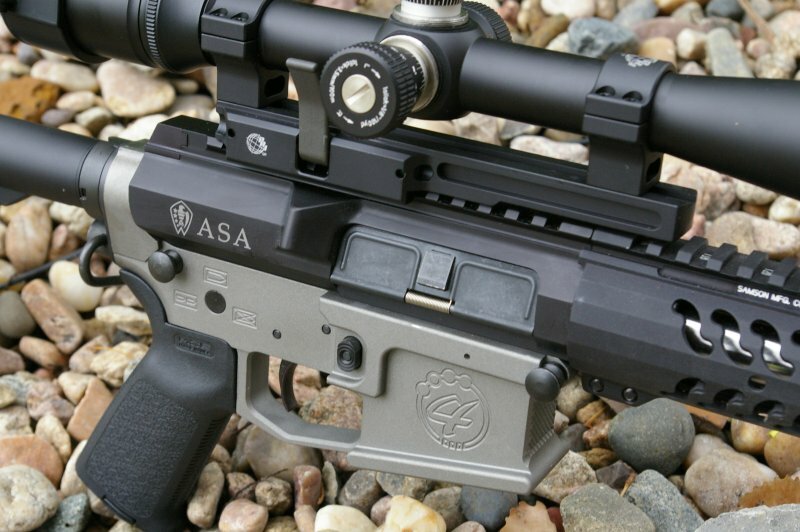 The based has two steel locating clamp pads and provides a .6” lift off the receiver. As pictured, I mounted up my gorgeous Nikon Monarch 8-32x50ED Side Focus Scope with a fine crosshair the Gator Grip high ring platform. I have been using this setup on a little over a dozen firearms reviews to wring the accuracy out of rifles plus extensive behind the scenes testing and lots and lots of moves from rifle to rifle. I have probably moved this thing around more times in the last three months than the average user ever will. Through that all, the Precision Reflex Gator Grip platform has performed perfectly. 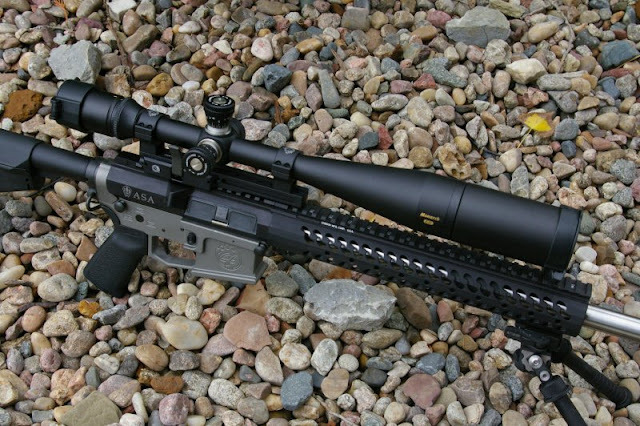 As noted at the start of this article, I liked the Gator Grip so much I picked up a second platform with low rings to use with a low powered scope for DMR type testing. Where I think this PRI scope mount is really a huge benefit is to be able to use your home defense/sporting/combat rifle with iron sights and be able to just clip on a scope quickly when needed. It should be no surprise that US Special Forces are using the Gator Grip to quickly convert a accurized iron sighted entry gun to a longer range DMR rifle by just clamping on a high powered optic when needed.